The community consultation before the summer and Community Meeting held on 22 May 2014 supported the organisation of our activities around six clusters, or ‘petals’ as they were described. These are the areas for which the Community Council will have a special concern, intending to support those involved in these activities and help them flourish. 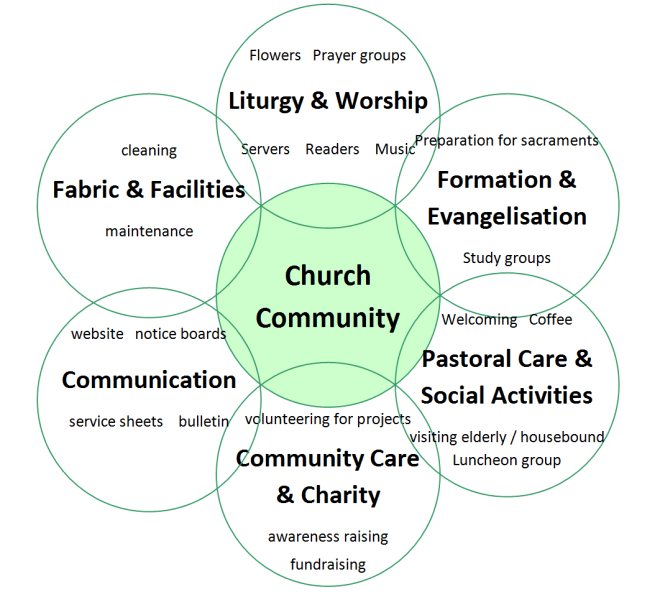 This entry was posted in Aspects of Community Life, Communication, Community Care & Charity, Fabric & Facilities, Formation & Evangelisation, Liturgy & Worship, Pastoral Care & Social Activities and tagged English Martyrs by admin. Bookmark the permalink.